Home -Celebrity News Vusi Nova panic attack Vusi Nova: ' I had a panic attack'. Vusi Nova: ' I had a panic attack'. 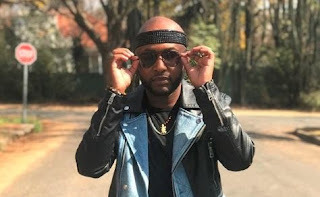 The As'phelelanga hitmaker Vusi Nova has took to social media to share a picture of himself in a hospital bed, saying that he had apparently experienced a panic attack. "Ended up in hospital yesterday because I just couldn’t breathe! Apparently I had a panic attack! This has made me realise that I need to have more me time and just calm down. To want to succeed and being driven is great, but all of that also comes with stress and anxiety. So now and again take some time off because all that won’t matter if u don’t take care of yourself. Still want to live," he wrote. Friends and fans sent messages to wish him a speedy recovery and he has thank them and assured to follow the doctors order to rest. This is Vusi Nova's second hospital visit within a short period of five months, he was hospitalized for food poisoning in August last year.